This copyright notice applies to the text and source code of this web site, and the graphics that appear on it. The software described in this text has its own copyright notice and license, which can be found in the distribution itself. 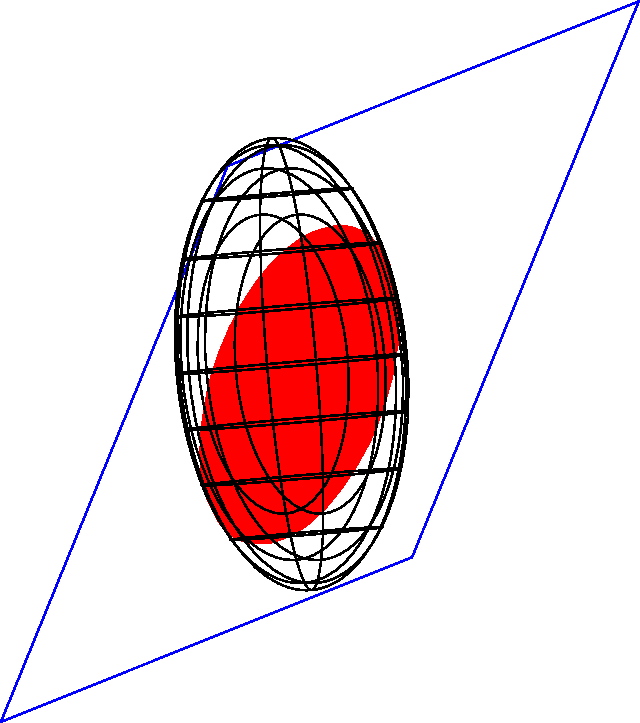 I've now added the data type ellipsoid to the 3DLDF language. 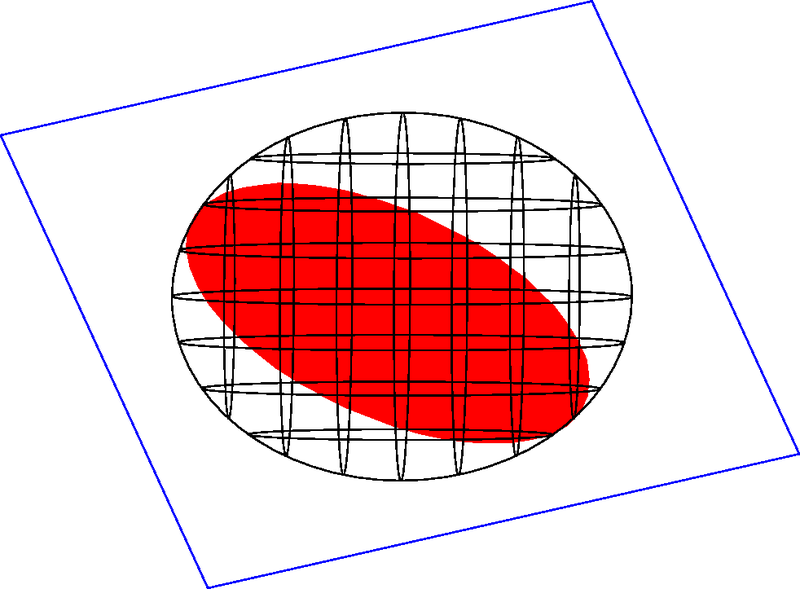 It corresponds to the type class Ellipsoid in the C++ code. 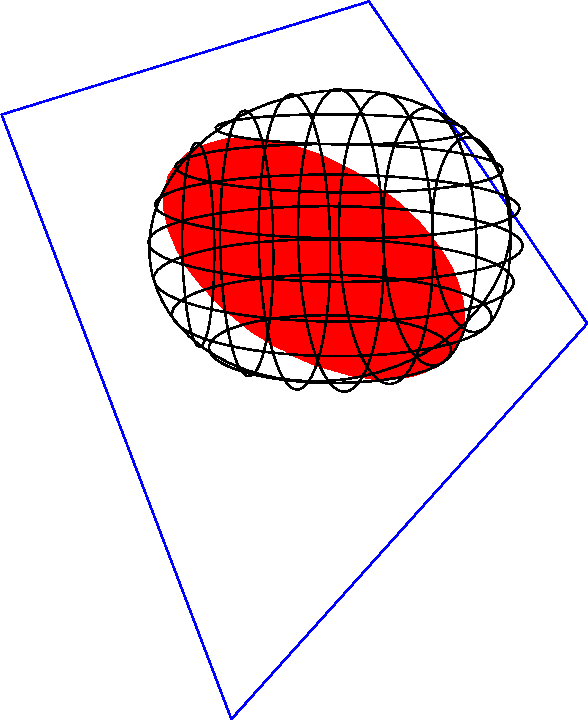 I've now added parser rules and functions for finding the enclosing cuboid of an ellipsoid, i.e., the smallest cuboid that contains the ellipsoid. 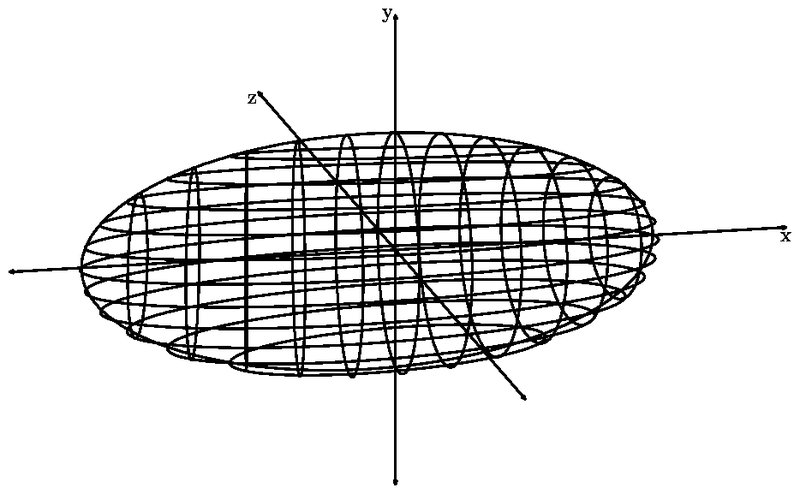 Finding the inscribed cuboid of an ellipsoid, i.e., the largest cuboid that fits into an ellipsoid, is more difficult. I don't yet know how to do this. The 3DLDF code for generating the following four images is in elpsd_02.ldf. p0 := (1, 2, 1);  %% Inside. 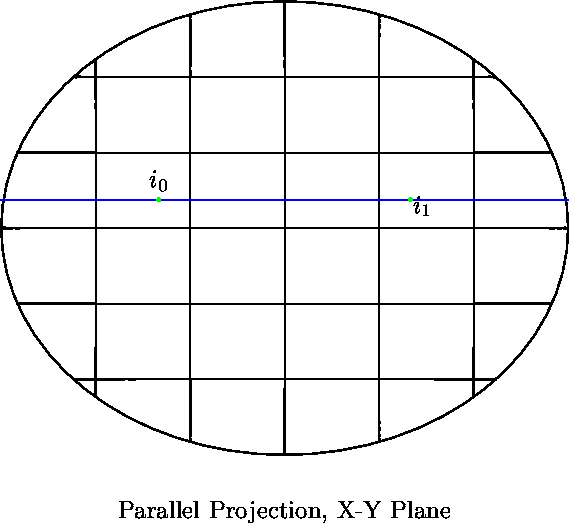 p1 := (4, 9, 0);  %% Outside. 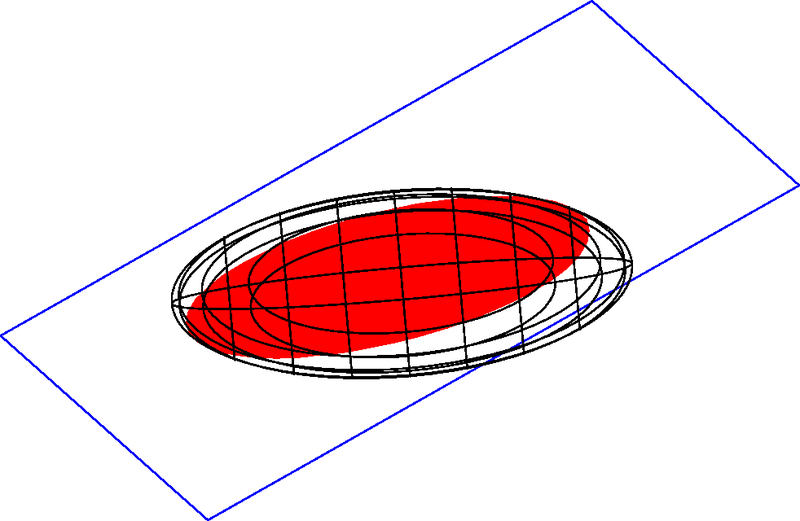 p2 := get_point 60 e; %% On the surface. 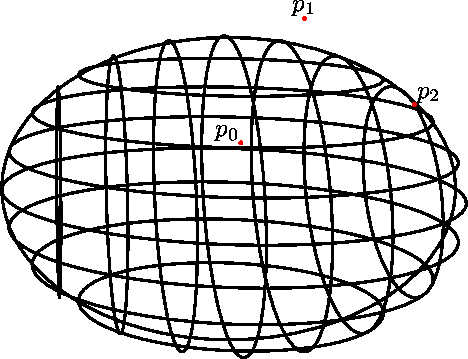 0: The point lies on the surface of the ellipsoid. 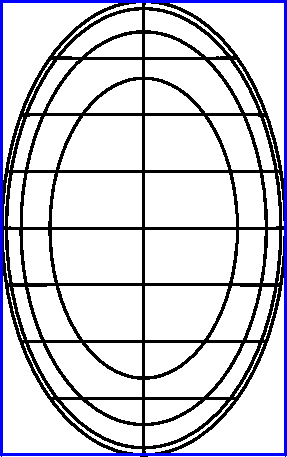 1: The point lies within the ellipsoid. 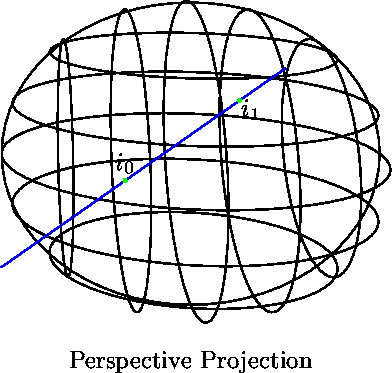 -1: The point lies outside the ellipsoid. 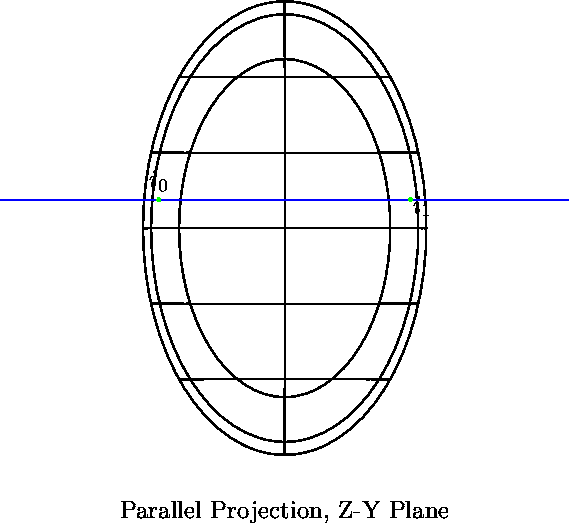 In the following image, p0 lies inside the ellipsoid, p1 outside it, and p2 on its surface. 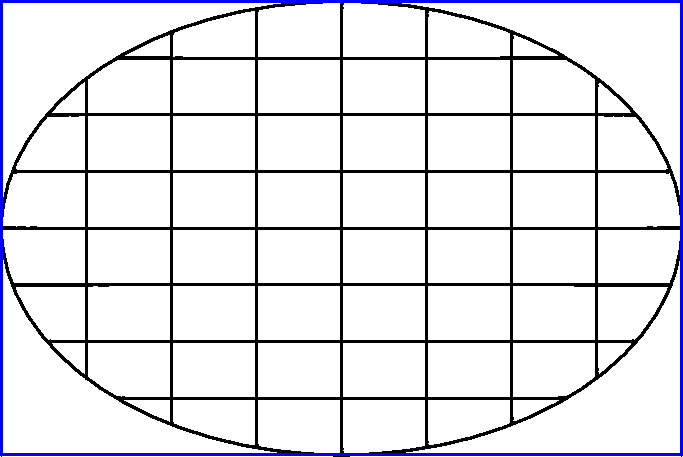 The complete 3DLDF code for generating this image can be found in elpsd_06.ldf. 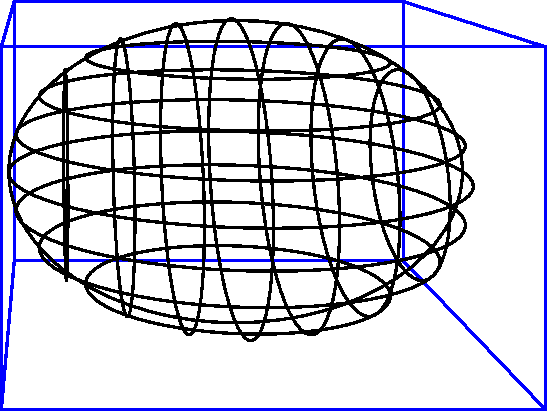 The following four images illustrate the intersections of an Ellipsoid and a linear Path. The 3DLDF code for generating these images is in elpsd_13.ldf. 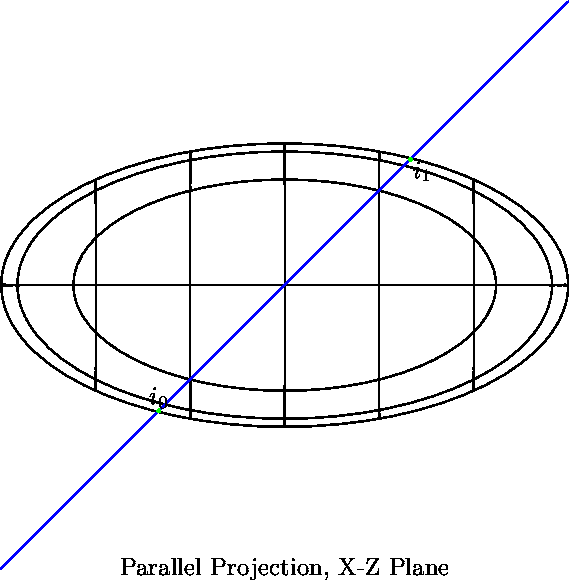 The routine for finding the ellipse that represents the intersection of an ellipsoid and a plane. The 3DLDF code for generating the following four images is in elpsd_17.ldf.